Customize your resume for each position you are applying for. It is very important that you need to know what job positions that you are applying for and what would be the ideal resume that matches the need to use for the job position. Highlight your skills and expertise on the summary or profile section. Make sure the rest of your resume supports your summary, profile, or objective. Consistency is the key here. Always reinforce your summary, profile and objective throughout your resume. 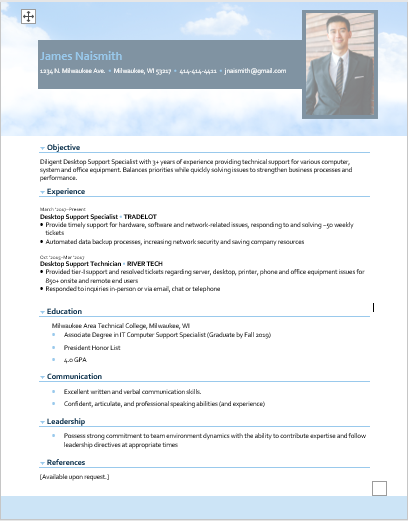 All the details and information should be consistent within the resume. Include key words on your resume. Putting the right key words on your resume and comparing to what the employer is looking for or to hire will give you a better chance of getting selected. Phrases and key words that fit the job will always get into the consideration. Displaying the skills and knowledge that is needed for the position. Be concise. Easy, understandable and using the concise language will showcase your skills and talents while given highlights to your area of expertise. List your past work accomplishments (not just your responsibilities) using some form of measures. Comparing your skills and abilities to other job candidates will generate a positive and optimistic interest from employers. Numbers and statistics will play a major role for job application. Use white space and bullet points to help emphasize what you want the hiring manager to know about you. You want the employer to check and spot the requirements that they are looking for from a candidate. Make sure it can be easily be check look and can’t be overlook. Don't submit your resume for a position for which you are not qualified. The number one rule in applying for a job not to submit your resume for a position for which you are not qualified. Make it appoint that you meet the basic requirements. This will save you time and effort moving forward as well as the employer.